"My problem is the fact that Twitter and Facebook [which owns Instagram] are approving sponsored posts from retailers selling counterfeits," Edgar Alvarez writes on Engadget, and despite having policies in place "to keep out sketchy advertisers," the social media networking sites are "clearly not keeping some from slipping through the cracks." ​Alvarez, says he can see past the fake adverts, "If I'm seeing an ad for a pair of Yeezys [sneakers] that cost less than their retail value, there's no way those shoes are the real deal," he says, however it seems millions of other people can't — or are choosing not to? According to a report by the Organization for the Economic Co-operation and Development (OECD) the black market trade in fake and pirated goods is worth nearly half a trillion dollars a year. 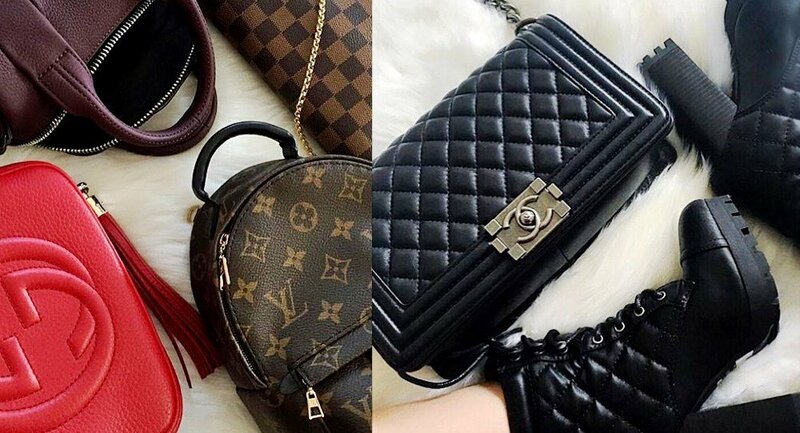 And with millions of people using Facebook, Instagram and Twitter to share almost every aspect of their lives, the fake goods industry is rapidly expanding online, with many people buying counterfeit goods via Intagram accounts. The OECD suggests that the value of counterfeit goods — including pirated digital products distributed on the internet would be "several billion dollars more" than the current estimate of US$250 billion per year. "Just as the licit market for online sales of goods is increasing, so is the opportunity for the online sale of counterfeit goods by organized crime groups […] the full extent of the role of organized crime groups in selling such products online is yet to be determined," the OECD report states. It is without doubt though that, "as the internet evolves as a platform that is abused by criminal groups for illicit operations… With this comes not just the opportunities for more digital sales of physical counterfeit goods but also possibly a greater shift toward illegal selling of digital products," the report adds. However, the reason why more and more people are searching out fake goods online and offline, remains an economic one. "It's fundamentally down to money," Professor Andrew Smith, Associate Dean for Research and Chair in Consumer Behavior at Nottingham University, told Sputnik. "The primary driver is to save money and it's also the thrill of cheating the luxury brand out of money." But in the virtual world of counterfeiting, either the buyer is being cheated by the fake goods seller or the buyer is trying to cheat the brand. Either way, "anyone buying fake goods should be aware that they are feeding an illegal industry that breaches Intellectual Property (IP) and if we don't have IP then businesses collapse," Professor Smith said. The virtual world, also "adds a level of autonomy online," Eddy Leviten, Director General from the Alliance for Intellectual Property told Sputnik. "When they're using online platforms they think they can get away with it. Intellectual property (IP) crime has been seen as high profit and low risk. Criminals just want to exploit what they can to make the most amount of money in the least amount of time without being brought to justice and IP crime has traditionally been seen as one of these routes," Eddy Levitan told Sputnik. By definition, organized crime involves two or more people working together, Mr. Leviten explained. "So in terms of the internet, people may not have met physically but they could be virtually involved with one another through distribution and money laundering online." "It's not necessarily the big burly guy with dark glasses, its people who are finding opportunities to create criminal revenues on the internet," Mr. Leviten told Sputnik. 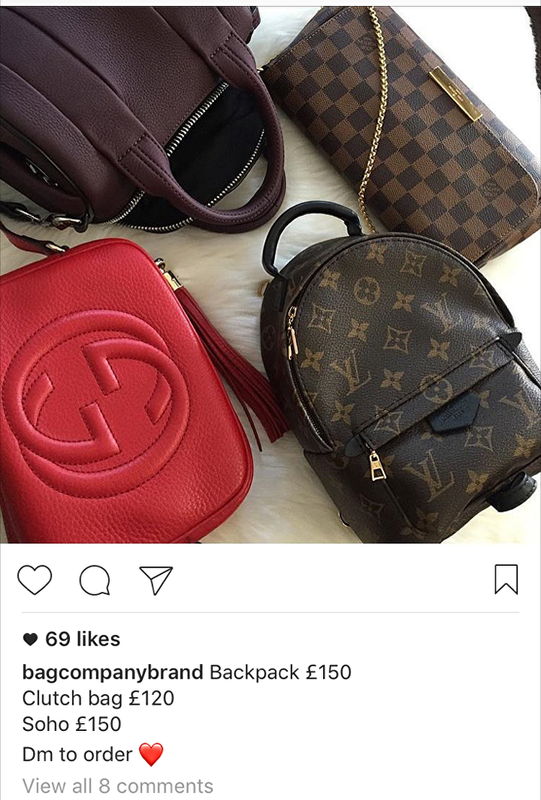 As for who profits from the fake goods sold via fake adverts on Instagram accounts — it's the organized criminal networks with their salubrious connections. "Buying counterfeit goods often funds terrorism and dark activities, from petty crime to nasty individuals with criminal interests," Professor Smith said. "Whatever your personal ethics, you're putting money in the hands of bad people — however most people buying the goods don't like to think about that." However, with the millions of people opting to purchase fake sneakers like Yeezy's on Instagram or a fake smartphone chargers for a fraction of the price of an authentic pair, would suggest they're choosing to remain in denial about what they are really buying — regardless of whether its available online or offline.